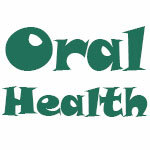 Oral Health : What's the Best Way to Brush Your Teeth? TUESDAY, Aug. 12, 2014 (HealthDay News) -- If you're unsure about the best way to brush your teeth, you're unlikely to get much help from experts. Dental associations and toothpaste and toothbrush companies don't agree on the most effective method to brush teeth, and their advice is "unacceptably inconsistent," a new study says. Researchers at University College London in England examined the brushing recommendations from dental associations in 10 countries, toothpaste and toothbrush makers, and in dental textbooks. The investigators found a wide range of recommendations on brushing technique, how often to brush and for how long, according to the study published Aug. 8 in the British Dental Journal. The findings highlight the need for better research on proper brushing, the study authors said. "The public needs to have sound information on the best method to brush their teeth," said study senior author Aubrey Sheiham, professor of dental public health. "If people hear one thing from a dental association, another from a toothbrush company and something else from their dentist, no wonder they are confused about how to brush. In this study we found an unacceptably inconsistent array of advice from different sources," Sheiham said in a university news release. "Dental associations need to be consistent about what method to recommend, based on how effective the method is," Sheiham added. "Most worryingly, the methods recommended by dental associations are not the same as the best ones mentioned in dental textbooks. There is no evidence to suggest that complicated techniques are any better than a simple gentle scrub." The study found that the most commonly recommended method is to gently jiggle the toothbrush back and forth in small motions in order to loosen food particles, plaque and bacteria. However, there is no proof that this is any better than basic scrubbing, the researchers said. "Brush gently with a simple horizontal scrubbing motion, with the brush at a 45-degree angle to get to the dental plaque. To avoid brushing too hard, hold the brush with a pencil grip rather than a fist. This simple method is perfectly effective at keeping your gums healthy," Sheiham said.